I’m Katy from The Lilac Scrapbook, and I’m guest-blogging for the lovely Daniella while she’s away on holiday. I decided I’d bring you something I’ve never done before; a battle of two products. If you’ve ever read my blog then you will know that I’m a sucker for a bargain, and so I mostly buy “drugstore” brands, which definitely keeps my bank balance smiling! 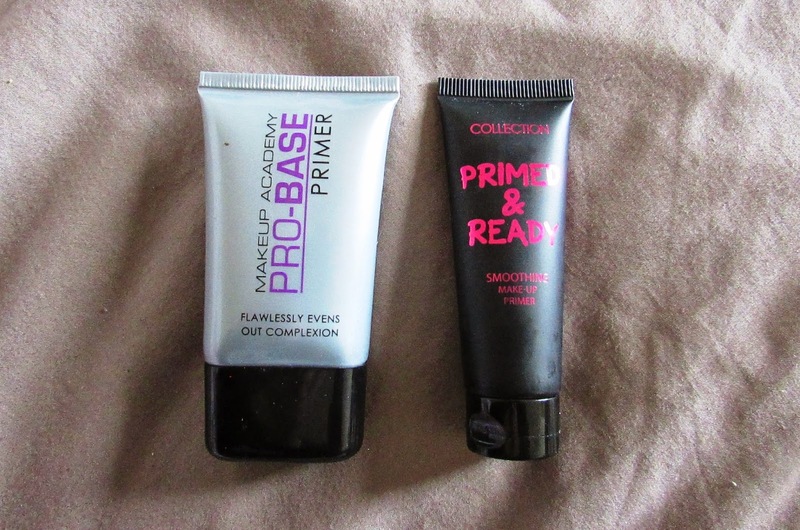 Collection Primed & Ready, £5.99 for 18ml // When I squeezed this out of the tube and onto my hand I got SO excited, because the texture and vague scent both reminded me straight away of the Smashbox Photo Finish Primer, which I had a sample of a few years ago and absolutely loved. When I put this on my skin over moisturiser it softened everything and made my skin look sooo much nicer. Unfortunately that ended when I applied my actual make up… I used my No7 Beautifully Matte foundation with a Real Techniques Buffing Brush like I always do and it just wouldn’t “go on” properly. No amount of careful application made it look nice, and I was left with a patchy, gross-looking face. I had such high hopes for this but I ended up being disappointed and I was so so gutted. I’d still say it’s worth a try because it might work for you, so don’t rule it out just yet! I would probably wear this alone, but only on extremely-good blemish-free days. 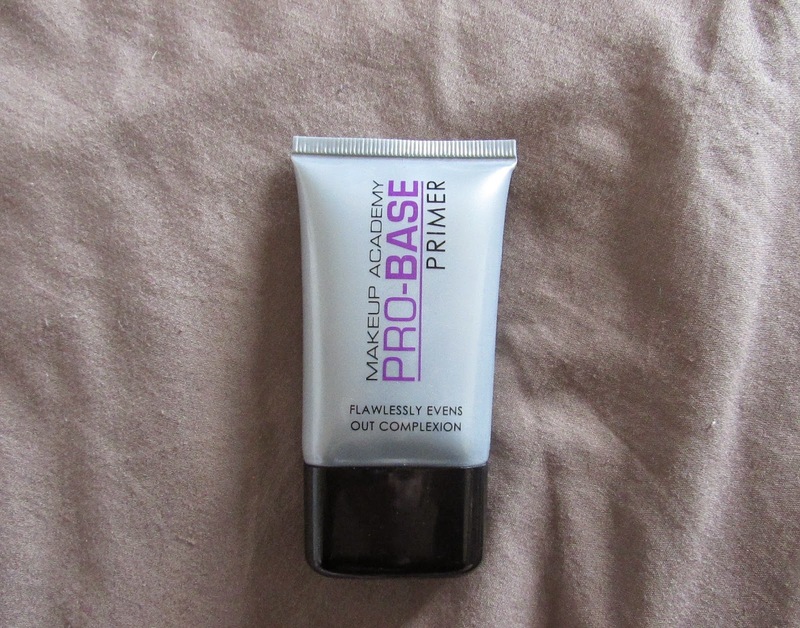 MUA Pro-Base Primer, £4 for 27ml // First things first, this product is cheaper than the Collection primer and you get a lot more! It’s a completely different consistency: it’s a lot more ‘wet’, so a little goes a long way, and it’s runny rather than being thick like the Collection one is. You do have to let it sink in a bit before you put your make up on but this doesn’t bother me. 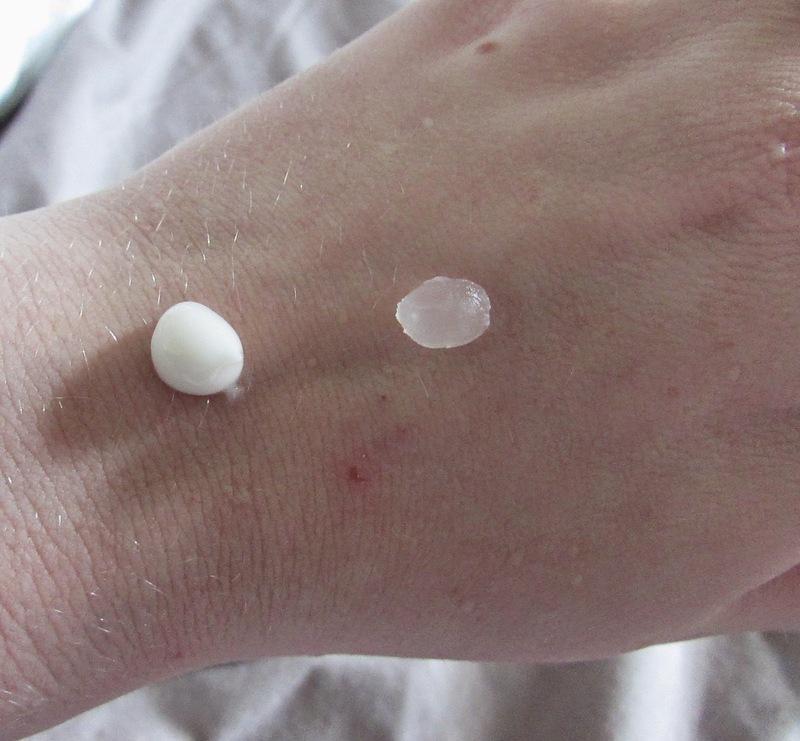 It doesn’t change the appearance of my skin by itself, but I find that my make up applies so much better when I have this underneath, and in all honest it does last longer – so it’s doing the job it’s supposed to do! 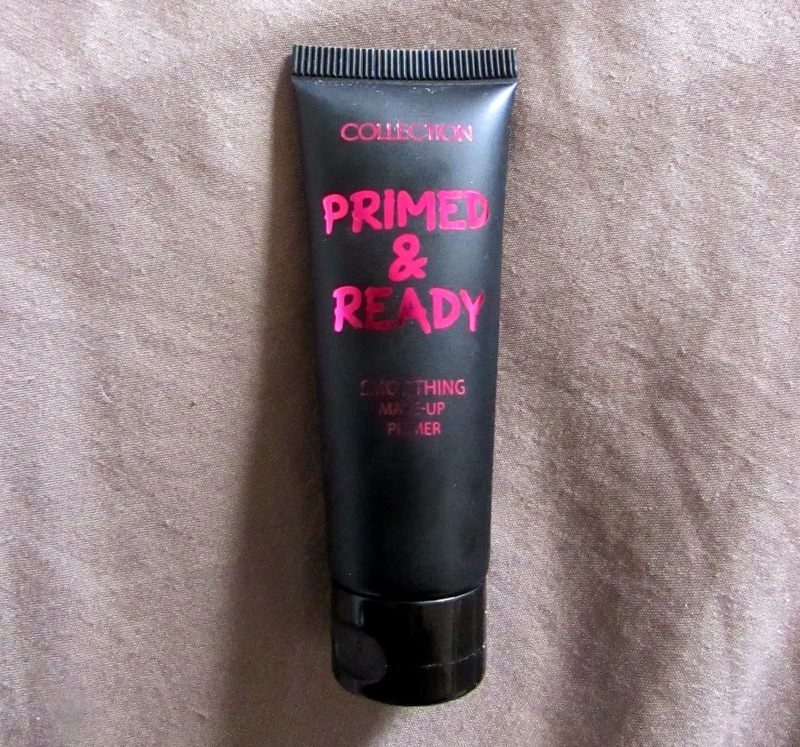 I would without a doubt repurchase this, and definitely choose it over the Collection Primed & Ready. I hope you enjoyed this post, my Twitter and Instagram are @katygilroyblog if you want to see more of me!